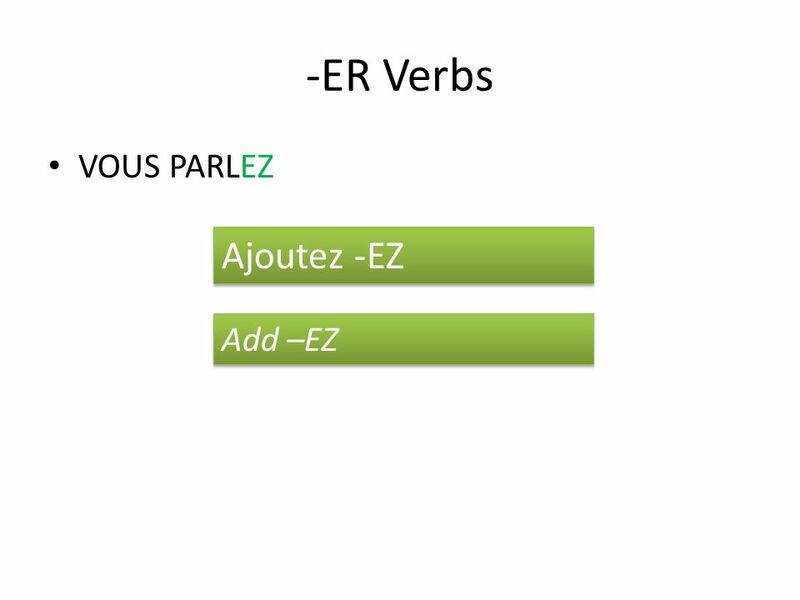 2 -ER Verbs PARLER DANCER CHANTER ECOUTER PORTER LINFINITIF These verbs are in the infinitive form. 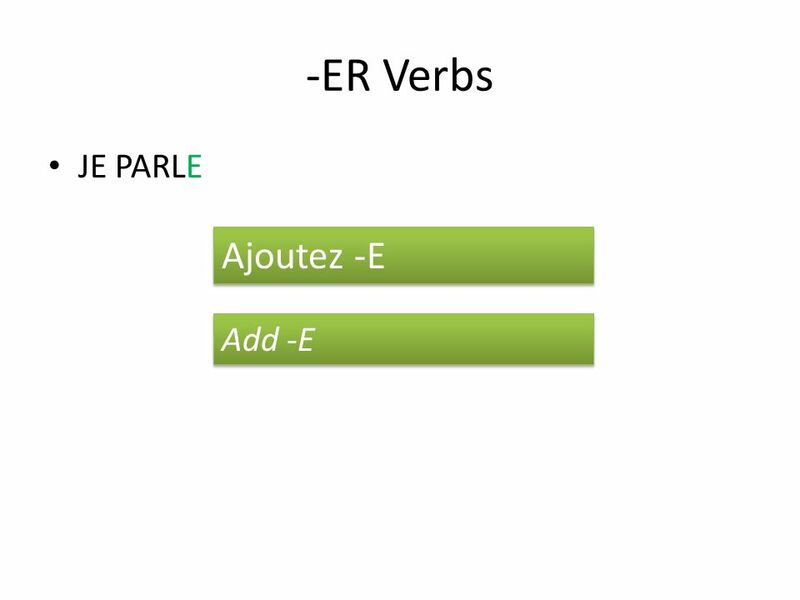 So they read: PARLER: to talk DANCER: to dance CHANTER: to sing ECOUTER: to listen PORTER: to wear YOU NEED TO CONJUGATE THEM! 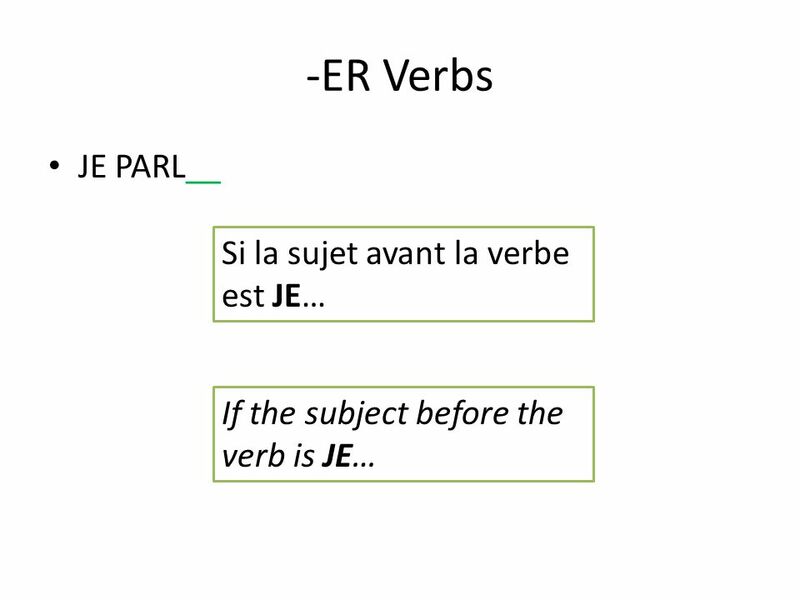 These verbs are in the infinitive form. 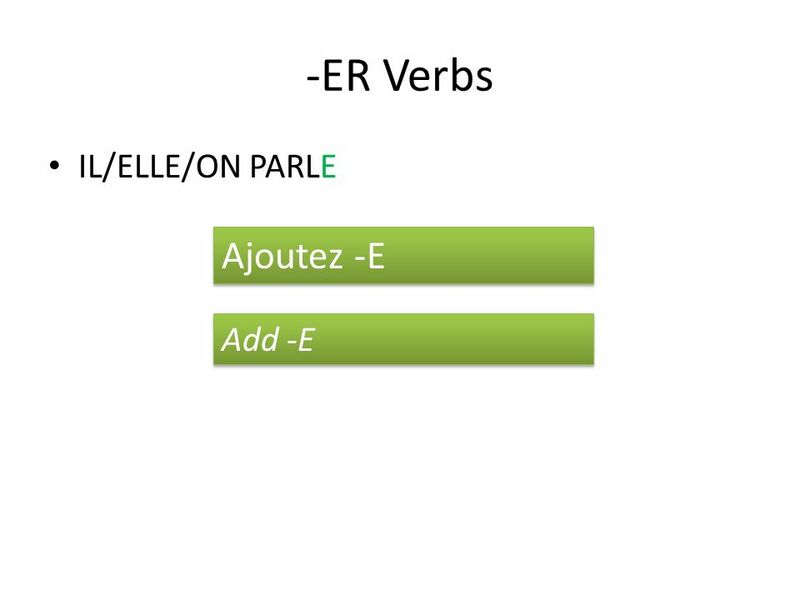 So they read: PARLER: to talk DANCER: to dance CHANTER: to sing ECOUTER: to listen PORTER: to wear YOU NEED TO CONJUGATE THEM! 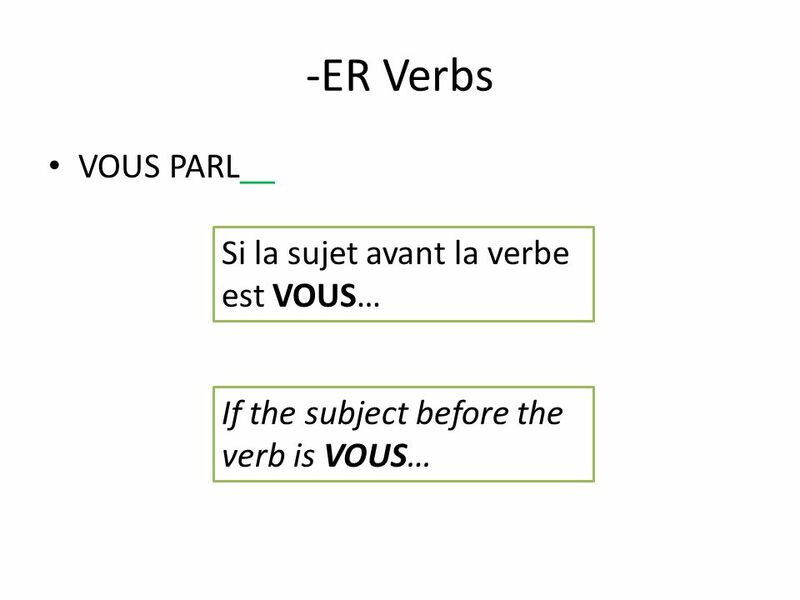 Tous les verbes sont dans le forme infinitif. 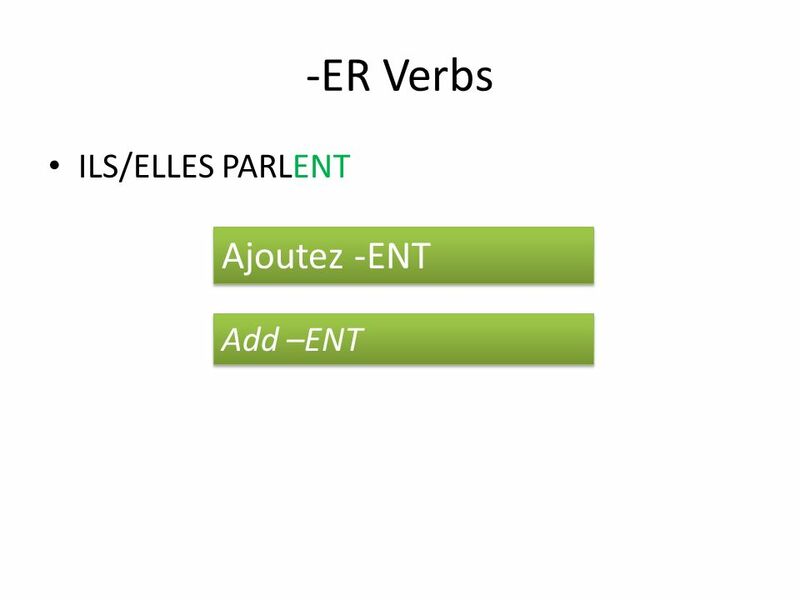 PARLER: to talk DANCER: to dance CHANTER: to sing ECOUTER: to listen PORTER: to wear Conjuguez! 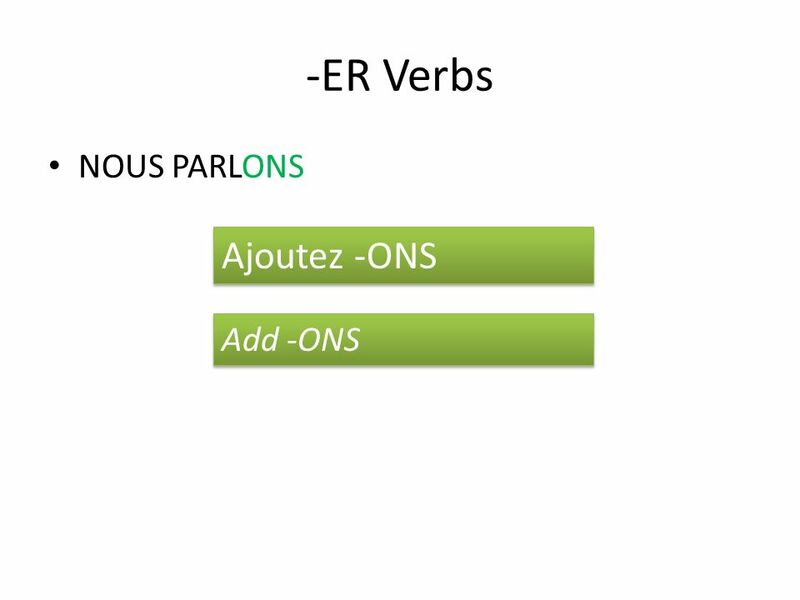 Tous les verbes sont dans le forme infinitif. 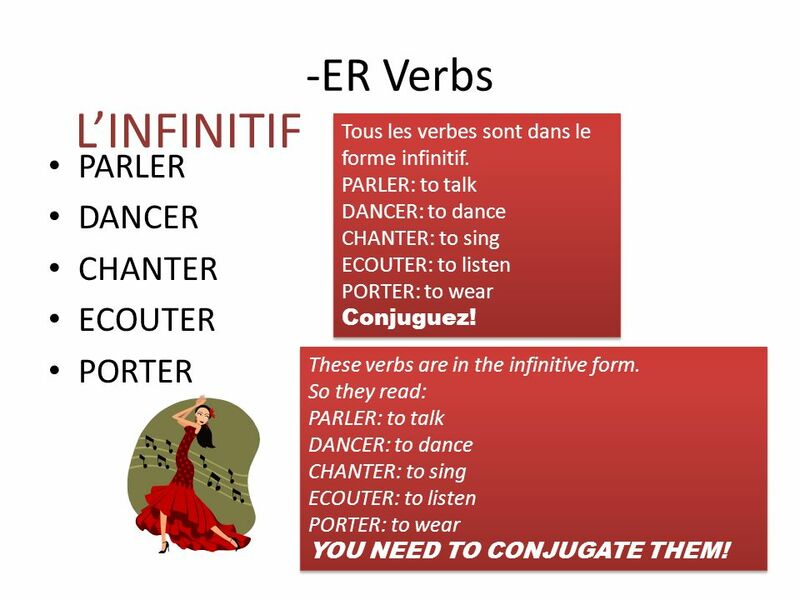 PARLER: to talk DANCER: to dance CHANTER: to sing ECOUTER: to listen PORTER: to wear Conjuguez! 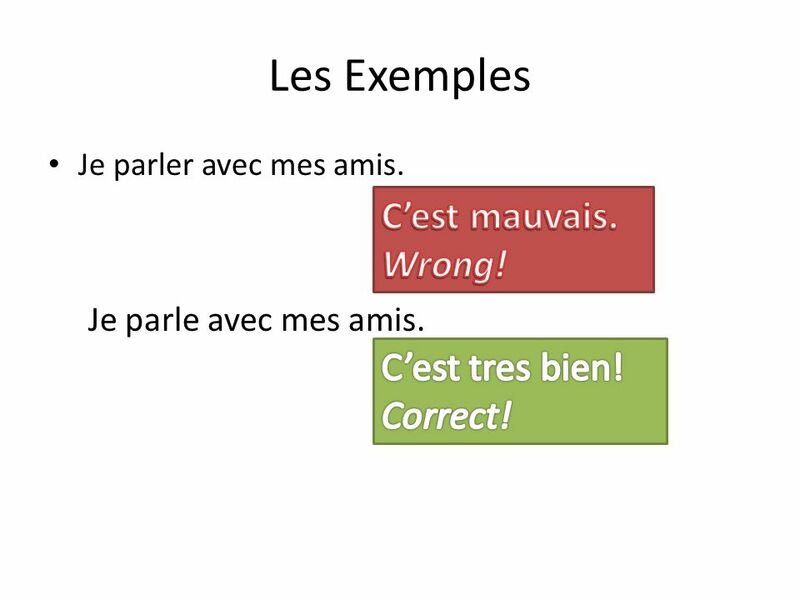 3 Les Exemples Je parler avec mes amis. 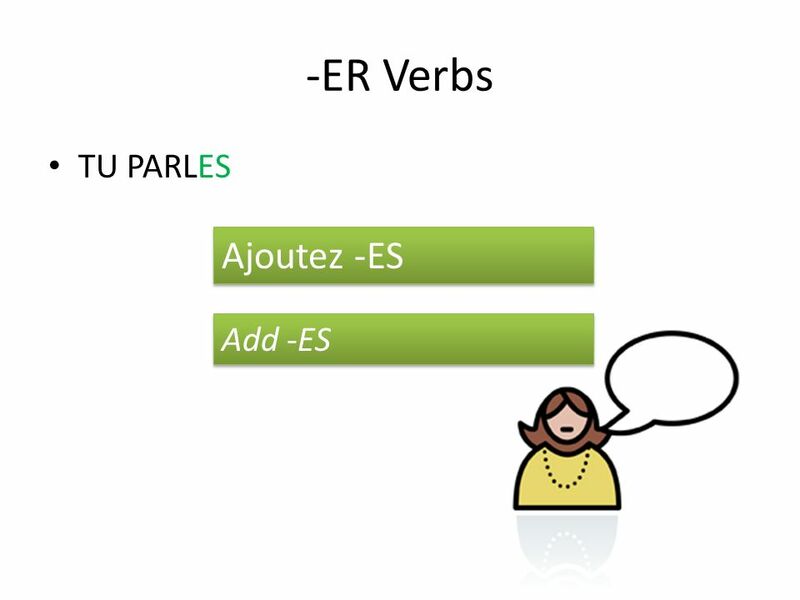 Je parle avec mes amis. 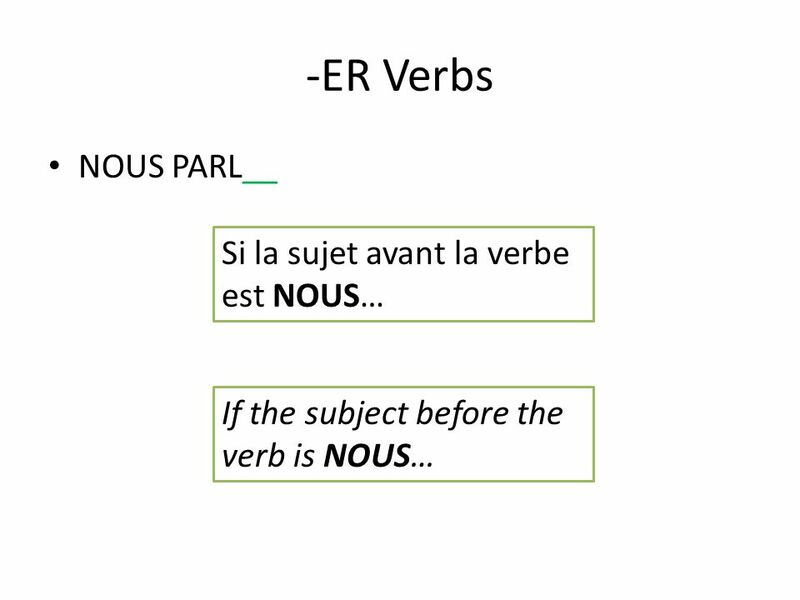 5 -ER Verbs PARL__ Laissez tomber –ER. 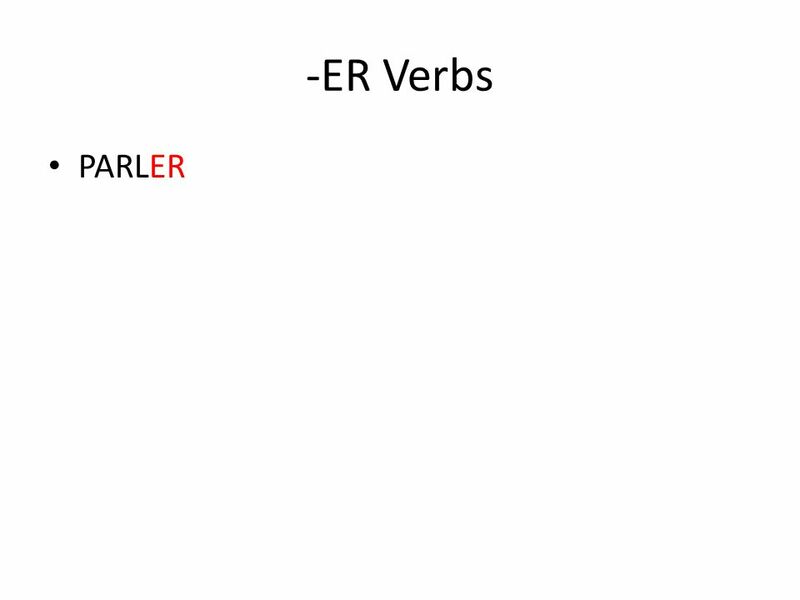 Drop –ER. 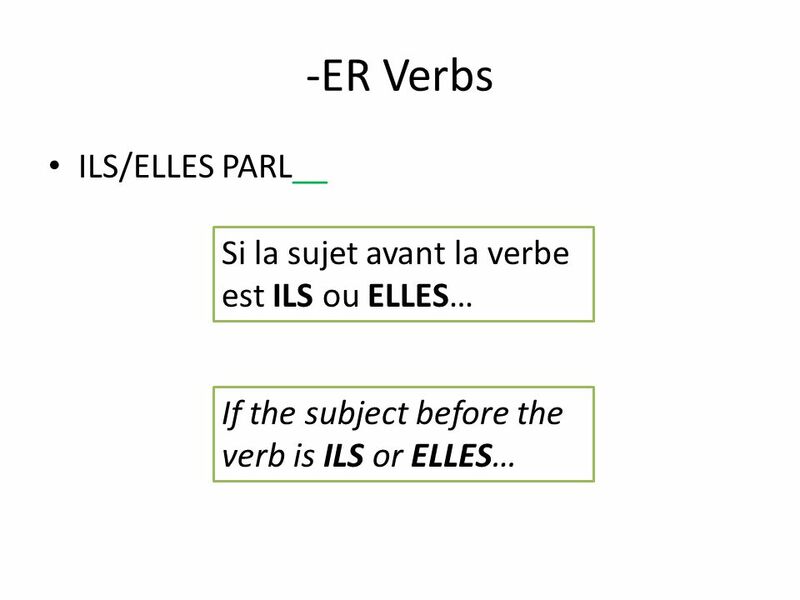 Laissez tomber –ER. 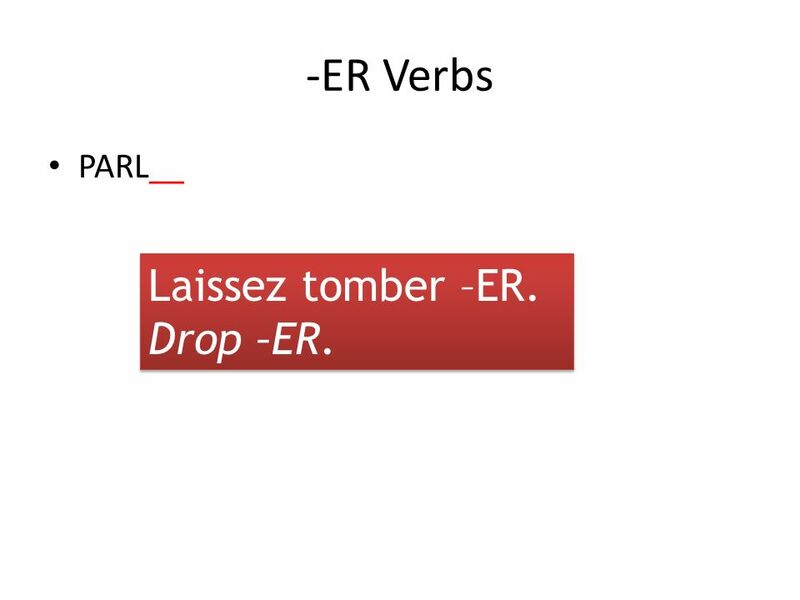 Drop –ER. 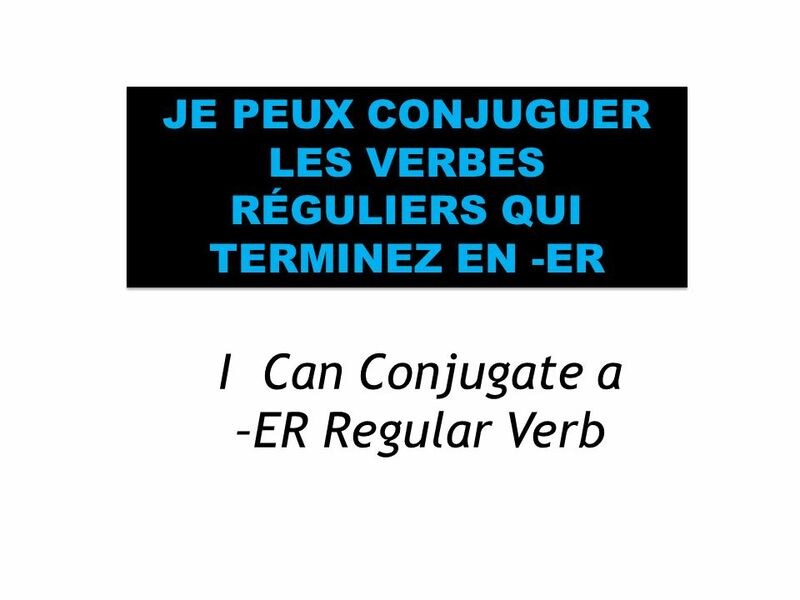 Télécharger ppt "I Can Conjugate a –ER Regular Verb JE PEUX CONJUGUER LES VERBES RÉGULIERS QUI TERMINEZ EN -ER." Le Temps présent Les verbes reguliers By Mme Tatala.